More completed projects to be hung up on the Wall of Finished Homes at the office. The Wall is ever expanding and there's just no stopping it. A Catskill Farms home is an timeless artwork and a genuine quality like no other- making our farmhouse, barn, mid-century ranch and cottage constructions in high demand. It's wonderful that so many country lifestyle enthusiasts pick us to manages their dream of a Catskill home. From weekenders to full time residents, it's a beauty to see and hear about the happiness these new old homes bring to everyday people. We've left such an important imprint on the real estate in Sullivan County, Ulster County and Dutchess County. We've, time and time again, given these Upstate NY locations the architecture and design that not only fits perfectly, but augments the surrounding beauty. Not only are our homes total eye candy, but these homes work. Our homes are reliable, built strong and don't need that recurring upkeep and maintenance that you see with other homes. 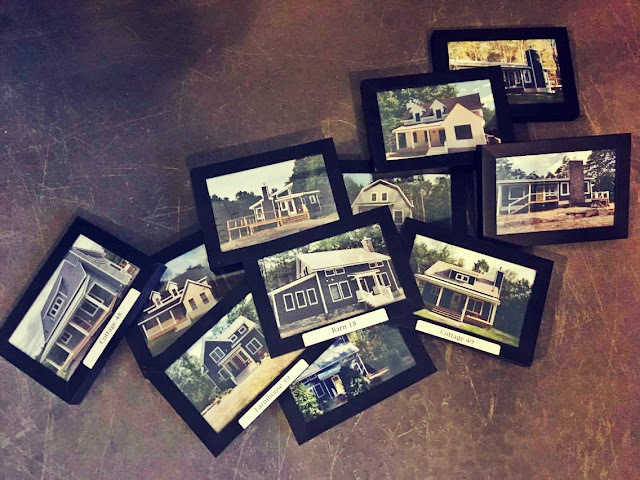 We combine modern aesthetics and incredibly useful technologies with salvaged wood, big country porches and all of the greatest rural feels- the result is a Catskill Farms masterpiece and we greatly rejoice for anyone who lives in one.